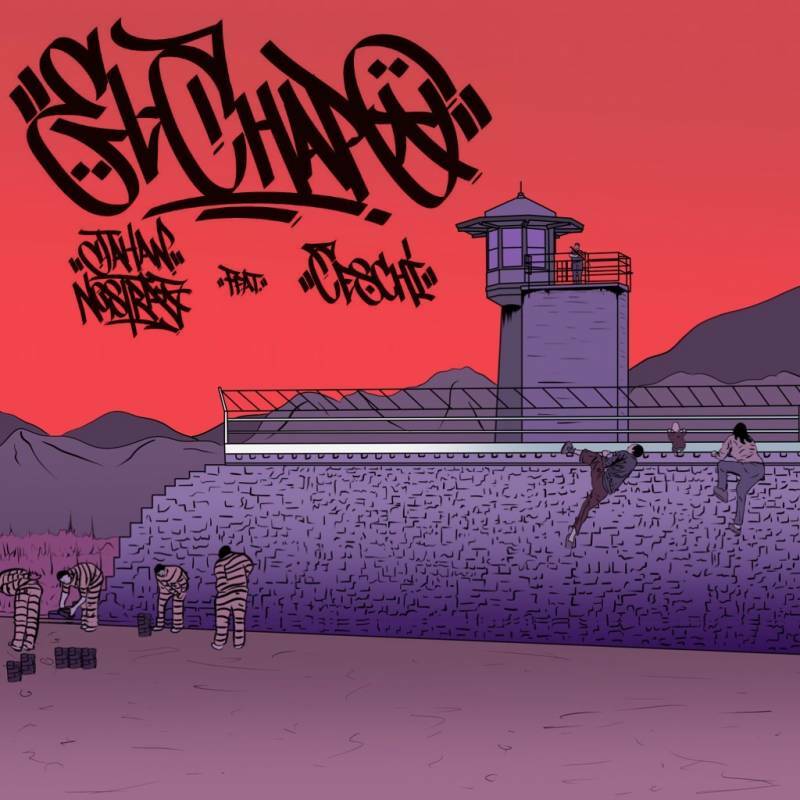 In honor of Caesar Chavez Day, Jahan Nostra and Ceschi Ramos have united for the “El Chapo” video, a potent piece of media that finds both MCs reflecting on topics such as immigration reform and the prison industrial complex. Filmed, edited and directed by Henry Gelperin, the visual brings Jahan and Ceschi’s powerful words to life. It was also produced in partnership with Unidad Latina en Acción (ULA), a grassroots social justice organization made up of immigrants in the Greater New Haven, Connecticut area. The scenes depicted in the “El Chapo” video were pulled from footage provided by the ULA that were filmed at the U.S.-Mexico border. Roughly two weeks after the video shoot was completed, the news broke 21 Savage had been arrested and detained by ICE, something Jahan addressed in a press release. “At the ULA meeting and video shoot, I met several individuals who were facing deportation or whose family members were facing deportation,” Jahan says. “Since they aren’t celebrities, we don’t hear most of their stories in the news. Watch the “El Chapo” video above. Drake is no stranger to the eSports world, but he’s taking it beyond being a Fortnite player. Last year, Now, he’s taking that a step further with other high-profile investors and gaming executives. Drake has funded Players’ Lounge, an eSports start-up that pits gamers against one another with cash on the line. Drake is part of a recent, $3 million funding round that the platform will use to broaden its online platform. High profile names like Strauss Zelnick, Marissa Mayer, and Comcast joined the rapper in the infusion. Players’ Lounge has been around for five years. It started out organizing real-life matches at bars in New York City, with FIFA as the focus. Last year, the start-up joined Y Combinator and began looking into creating an online hub for gamers to battle one another with real money at stake. Staying true to its roots, Players’ Lounge focuses heavily on offering sports gamers a platform. FIFA 19, NBA 2K19, and Madden 19 all have primary focus. But recently, the platform has branched into eSports heavy-hitters like Fortnite, Apex Legends, and Super Smash Bros. Ultimate. The wagers offered on Players’ Lounge generally start at only a dollar or two. But bets can go much higher, especially with streaming audiences on Twitch watching live. PL takes a 10% cut off the top of every bet made. Bets between gamers are considered a game of skill, so the platform hasn’t run afoul of any gambling regulations — yet. Despite that, some states like Arizona, Iowa, and Louisiana have banned skill-based competitions for cash. Player’s Lounge says it aims to make it possible for players to make money from their skill without having to go Pro or become a full-time Twitch streamer. The fallout from the release of the Leaving Neverland documentary continues — but more celebrities are sticking up for Michael Jackson. Worldwide, radio stations are pulling Jackson’s music. Broadway shows are being shelved, and Jackson covers are being scratched from performance lists. But Michael Jackson still has his defenders and apologists. That slowly-growing list now includes rapper/entertainer Will.i.am, who has stated that playing Jackson’s music is no worse than patronizing a company with connections to the Holocaust. The Black Eyed Peas frontman was speaking at a press conference promoting a new series of The Voice when he made the comments. When asked about his thoughts on the allegations contained in the documentary, Will.i.am says he’s conflicted. He says he is pulled between wanting to support victims of abuse and the memory of someone important to him. Bayer itself has not responded, and is likely choosing to remain quiet on the matter. The German pharmaceutical and chemicals company had used slave labor in concentration camps during World War II. Will.i.am’s comments are not entirely inaccurate, though Bayer did profit off of the atrocities of the Holocaust. Others are also speaking out in favor of the late Michael Jackson. Barbara Streisand also found herself in hot water when she said that Jackson’s abuse “didn’t kill them.” She also expressed sympathy for Michael, saying he was very sweet and childlike when she met him. She added that she blamed the children’s parents more than anyone. Michael Jackson’s for more than $100 million over the airing of the Leaving Neverland documentary. Nick Cannon Wants To Finish Nipsey Hussle’s Dr. Sebi Documentary: "They Can’t Kill Us All"
If you’re into conspiracy theories, you’ve likely already read about everything surrounding the recent death Nipsey Hussle. The 33-year-old was set to release a documentary about Dr. Sebi, a man who claims to have cured AIDS. 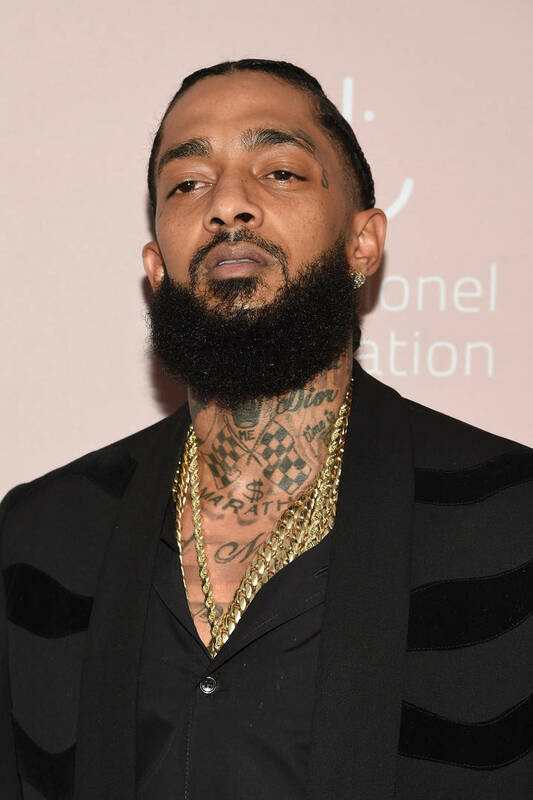 Nipsey told the hosts the Breakfast Club a while ago that he planned on going through with the doc, saying, “I’m working on doing a documentary on the trial in 1985 when Dr. Sebi went to trial against New York because he put in the newspaper that he cured AIDS. He beat the case and he went to federal court the next day and beat that case, on record, and nobody talks about it.” In Nick Cannon‘s memorial post for the Los Angeles rapper, he effectively took the lead and said that he would be resuming work on Nip’s documentary. Cannon went on to share a trio Dr. Sebi videos, tagging Nipsey’s Instagram account in each one. Hopefully, this documentary actually releases. It would be an honor to see what Nipsey was working on at the time his passing. Nike’s “Crazy” ad campaign has seen some pretty iconic commercials enter the fold and now the Beaverton brand is looking to add to that with this latest video featuring Odell Beckham Jr. and Jarvis Landry. To provide a bit background beforehand, Landry and Beckham Jr. have been friends since they were little kids. The two are both wide receivers who played against each other in high school but reunited to play with each other at LSU. They both got drafted in 2014 and now, they will be playing on the same team in Cleveland. The entire commercial is based on this premise. Throughout the video, we see a side by side split Beckham Jr. and Landry as they make their way up the ranks and eventually end up on the same team together. Beckham Jr was originally drafted by the New York Giants, while Landry was taken by the Miami Dolphins. Last season, Landry ended up being shipped f to Cleveland and pretty well a year later, the same thing happened to OBJ. 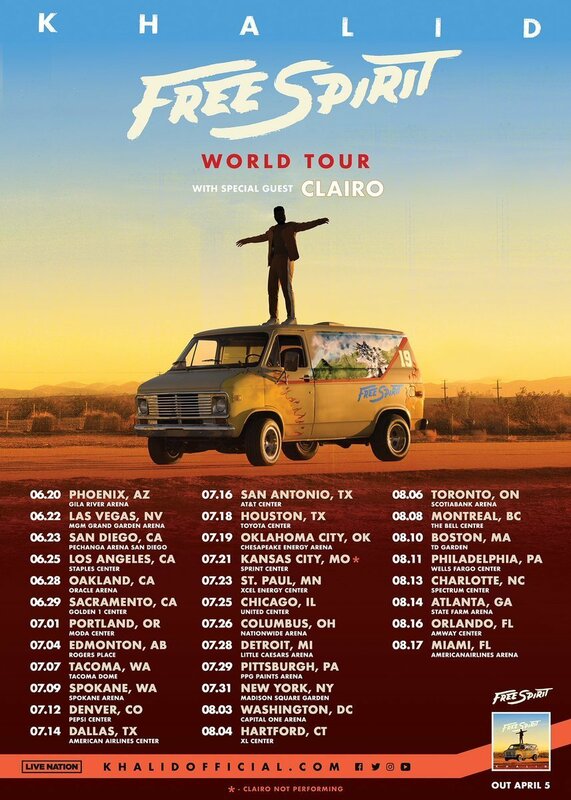 Los Angeles, CA – To accompany his upcoming album, R&B star Khalid is taking his act across North America the Free Spirit World Tour. Tickets go on sale starting April 5th on LiveNation.com. while Citi®/AAdvantage members will have dibs for presale tickets come ==April 2nd. All tickets purchased online will include one CD of Free Spirit (offer excludes festival dates). “I just wanna thank you guys so much for making this possible man life is a dream!! I love u guys so much, and I can’t wait to bring @clairo on the road with me! Hope to see you there ❤️ MORE INFO SOON,” Khalil concluded to the fans. Free Spirit impacts the globe on April 5. Check out the tour dates down below. The strange cases Jussie Smollett and R. Kelly have finally overlapped. Earlier today, R. Kelly’s lawyer showed up to court to get permission from the judge to allow Kells to travel outside the U.S. Although the motion was withdrawn, R. Kelly’s lawyer didn’t waste time bringing up the scandals surrounding Avenatti and Kim Foxx. He continued to call out Foxx for her involvement in Jussie Smollett’s case. He said her involvement in Jussie Smollett’s case displays that she’s “able to be influenced and wowed.” Foxx recused herself from her case due to her conversations with Tina Tchen. Greenberg thinks Avenatti may have “bullied or just simply manipulated” Kim Foxx. It’s been an incredibly strong year for Jordan Brand so far thanks to a plethora OG releases, as well as some phenomenal new colorways. While Jordan Brand has dominated the first quarter 2019, it looks as though they’re looking for a complete year as even more models are being rumored. One those rumors involves a brand new Air Jordan 4, dubbed “What The” which is a part an ongoing series with Nike. Reports the shoe first surfaced last week, although now it seems as though we have a potential release date. Courtesy a photoshop render from @zsneakerheadz, it looks as though this shoe will be a mix the “white cement,” “fire red,” and “military blue” colorways which are all classic in the Air Jordan 4 library. The upper is primarily white and has blue and red highlights, while grey cement finds its way onto the midsole. According to the post, it looks like these will be released on Black Friday which is slated for November 29th. This will surely be one the more hyped up releases the year. Nipsey Hussle was shot in Los Angeles on Sunday (Mar. 31). The Grammy-nominated rapper was at his Marathon clothing store in the Hyde Park neighborhood of Los Angeles when multiple shots were fired. According to TMZ, he was among three people shot, one of who died at the hospital. Nipsey’s condition is currently unknown. Moments before the shooting, the 33-year-old rapper, born Ermias Asghedom, was seen taking pictures with fans including a young child outside his Marathon store, which he opened in 2017. He also tweeted about “enemies” just hours before the incident. “Having strong enemies is a blessing,” he wrote. After the news broke, Nipsey’s friends took to social media to share their prayers. Nip is one of the most proactive figures in the hip hop community, when it comes to creating opportunities, and outlets for the disenfranchised. True leader. I hate seeing this. Praying for the man. Yesterday was an incredibly sad day for the hip-hop community as rapper and philanthropist Nipsey Hussle was shot and killed in front his store in Los Angeles. It was devastating news that sent shockwaves throughout the world. While hip-hop artists reacted to the Hussle’s death, others in the sports community shared their condolences as well. One the teams to do so was the Golden State Warriors who danced to Nipsey’s music before their game against the Charlotte Hornets on Sunday. In a clip posted to Twitter, Kevin Durant can be seen giving the news to Steph Curry who was visibly shocked by it all. After beating the Hornets 137-90, Curry was in a somber mood as he addressed the media and spoke about Hussle and his legacy. “That was tough. Obviously surprised a lot people,” Curry said in the clip TMZ. “I got to know him last year and had a great conversation about who he was as a person, what he stood for, what his message was, how he tried to inspire people considering where he grew up and how he turned that into something extremely powerful, represented an entire city. We send our condolences to Nipsey Hussle and his family in this tragic time. NBC News has reported that Nipsey Hussle has been identified as the victim who has died after a fatal shooting took place outside the rapper’s store in Los Angeles Sunday afternoon. As previously reported, the Victory Lap emcee was shot in the Hyde Park neighborhood Los Angeles outside his clothing store along with two other victims. Our deepest sympathies, thoughts and prayers are with Nipsey’s family and team at this time. The middle part to Flatbush Zombie member Erick Arc Elliot’s artistic pseudonym jets back to the reputation he’s earned as a meticulous songwriter, equal parts rapper and producer. Let me explain, Arc stands for “architect,” beyond that, it’s a little hard to discern reality from self-created mythology. 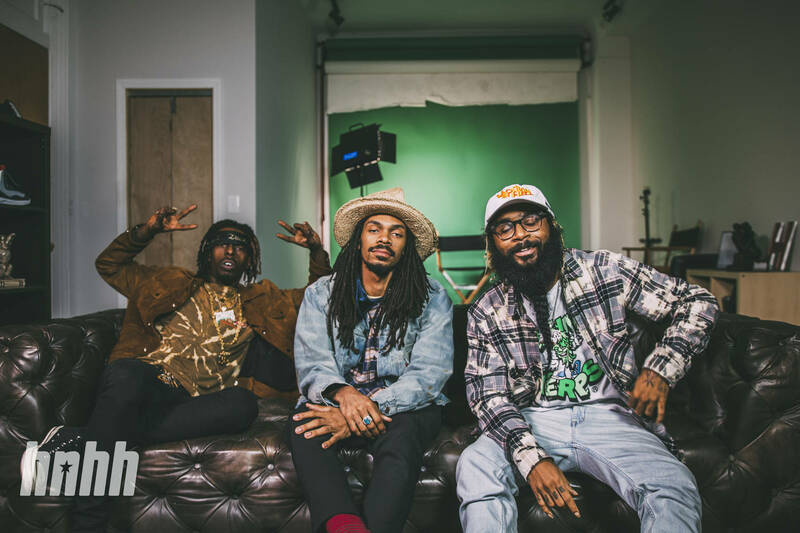 The Flatbush Zombies wouldn’t have it any other way: the group is built on solid lines, both in terms a deep-seated relationship, giving way to them becoming one with the larger than life characters they’ve created to fit the group’s apocalyptic theme. In this instance, Erick Elliott doesn’t appear to be confused by the two notions. The group’s personal mythology never hedges on the sacredness his family life or upbringing. The distinction was made clear this morning/afternoon when he visited his mother’s gravesite, a process that involved him recording atmospheric sounds from the unfinished plot – sounds he’d like to put towards upcoming Flatbush Zombies material. The above is an excerpt from Erick’s Instagram post documenting the recording ritual. As he so aptly demonstrates, the posting also doubles as a public eulogy, in which he spoke fondly his mother, who passed away on Christmas Day, 2018, as outlined in his touching letter. This week’s FIRE EMOJI playlist comes to you vetted for quality, as per the usual. Unlike in past seminars, the current edition the playlist boasts a high number sleeper picks, ranging from Kentucky-born Vory’s “You Got It” to Tierra Whack, whose contribution “Unemployed” serves too many functions to count – for one, it addresses a host topical issues in an unassuming manner, under the banner her #whackhistorymonth tagline. Vory’s story is a whole lot different. In fact, the general public likely remembers his presence on Bryson Tiller‘s “Don’t,” but with the trap soul identifier taking some time for himself, Vory would suffer a period stagnation, only to revive all interest in his music several years later. The real flagbearers on this weel’s list are Juvenile, GoldLink, and Yelawolf, all within a different breadth activity. For starters, it was Yelawolf who realistically stole the show by dropping his banner project, his last with Shady Records. Listen to the FIRE EMOJI and follow all HNHH Spotify playlists below.